Retire in the Superstitions! There's nothing better than a fun, friendly community with close proximity to the 60 and the 202 that's within minutes from popular restaurants and shopping centers all with the backdrop of the Superstition Mountains! This is the PERFECT size single level at just under 1700 square feet. There are two good-sized bedrooms and a spacious den that could easily be a bedroom with it's hidden location and closet space already present. You'll love the convenience of the split floor plan with large great room and spacious kitchen. The kitchen boasts pantry, lots of natural light and NEW black stainless steel appliances! They are only a few months old! Low maintenance landscaping with just a small amount of grass and some fruit trees (a must have in AZ!). Conveniently located near Mountain Vista Medical Center, Banner Gateway Hospital and Phoenix-Mesa Gateway Airport. The Rec Center has a 13,000 sq. ft. auditorium, state-of-the-art fitness center, resort style swimming pool, lap pool, spa, and courts for tennis, bocce ball, horseshoes, shuffleboard, volleyball, basketball and pickleball. There is also a woodworking shop, library, arts and crafts room, billiards and card rooms. Located within the community is an impressive softball field, and a pet park.. Also available is an onsite facility for storage of a motor home, 5th wheel, or travel trailer, available for rent. 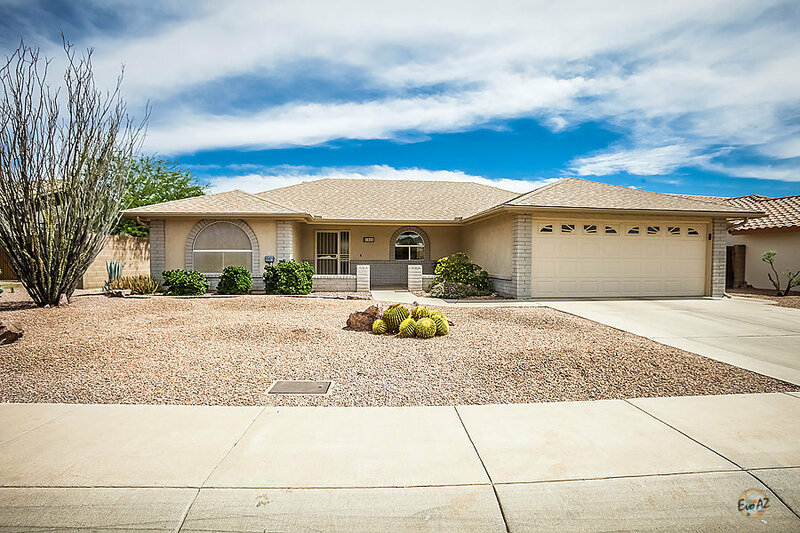 Posted on June 17, 2018 by Katie Lambert and filed under Featured Listing and tagged 55+ Home for Sale in Mesa Sunland Springs Village Home for Sale.